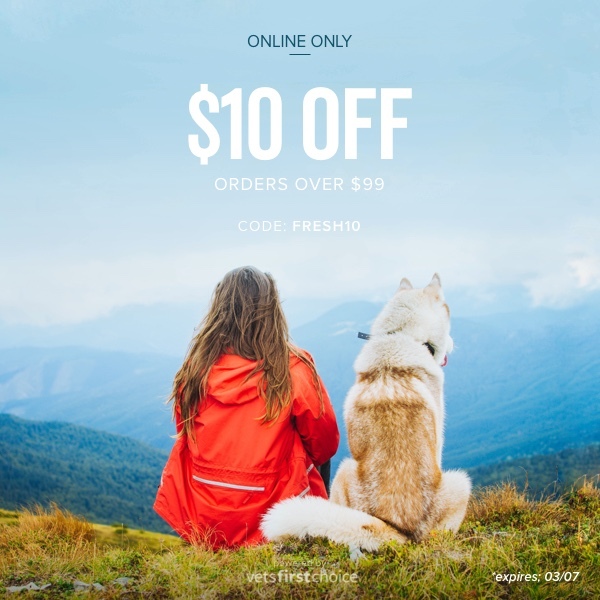 $10 off orders over $99 with code: FRESH10. Tuesday’s email will go to clients whose practice is opted into at least one Careminder per month. A reminder on Thursday will go to clients whose practices is opted into 3 or more emails per month. 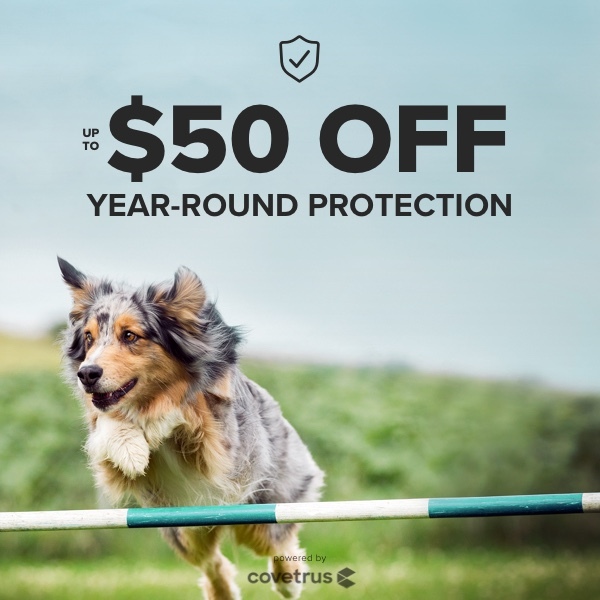 Don’t forget to promote the sale on Facebook! 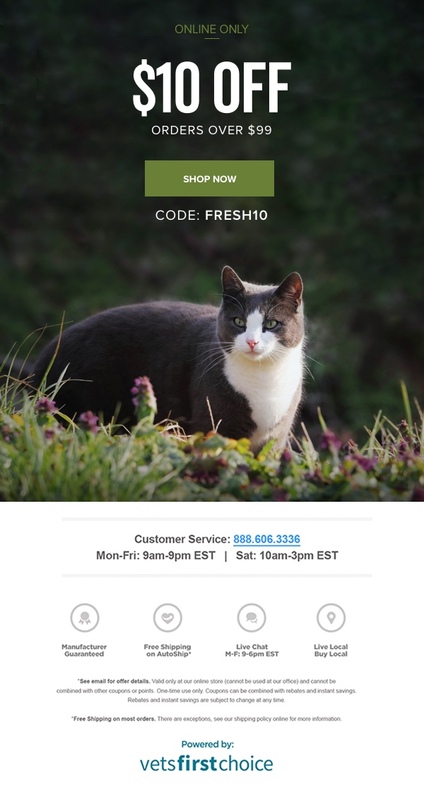 The theme this week is getting pets ready for spring. 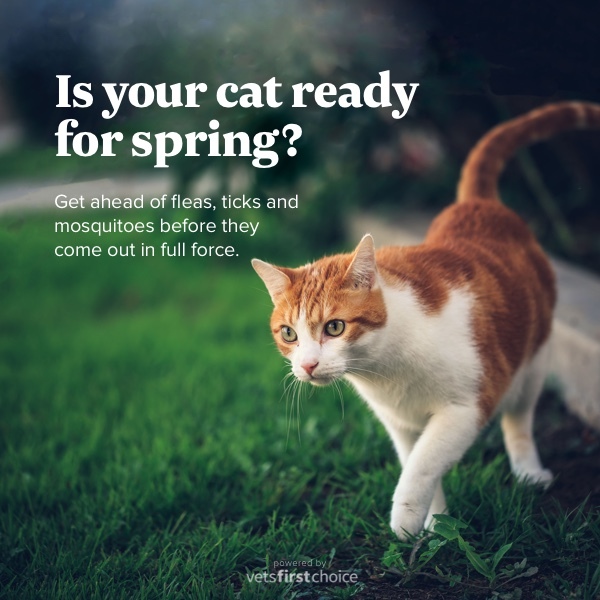 Whether they are due for flea, tick and heartworm preventatives or are susceptible to springtime allergens, this campaign will promote the relevant products available in your online store. 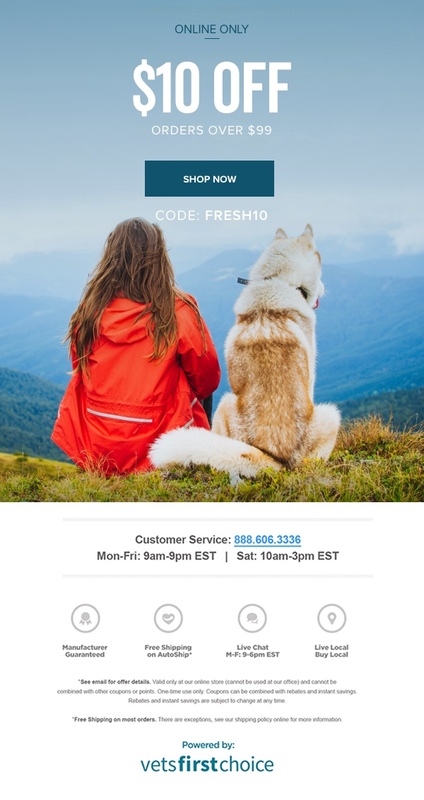 Clients will receive this email if your practice is opted into 4 or more emails per month. 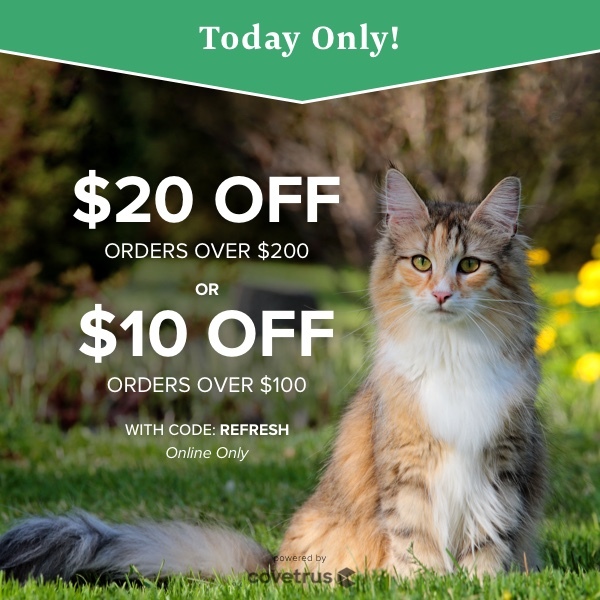 On Monday we are launching a One Day Sale, featuring a coupon plus a special instant rebate of $20 on Trifexis 6 packs with AutoShip (regularly a $10 rebate). 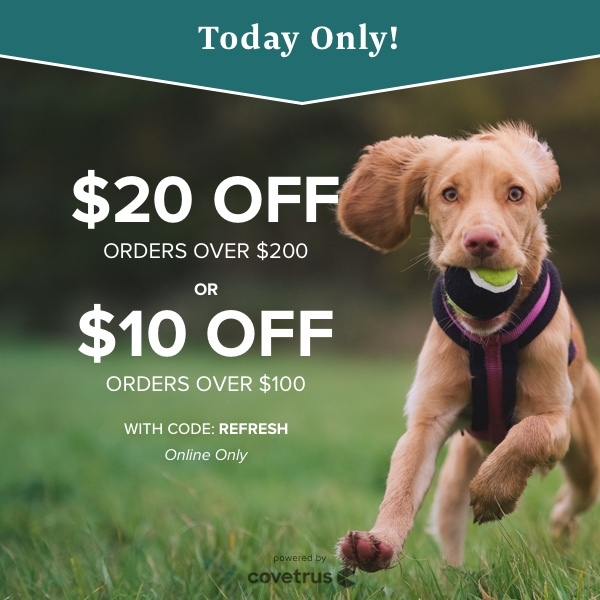 Coupon details are below. Note: no coupon is needed for the $20 Trifexis savings, and as a reminder, Trifexis 12 packs are $35 off every day! This campaign will be sent to clients whose practice has selected 2 or more Careminders per month. Those opted into 4 or more will receive an email on Tuesday morning announcing that the sale is extended another day. 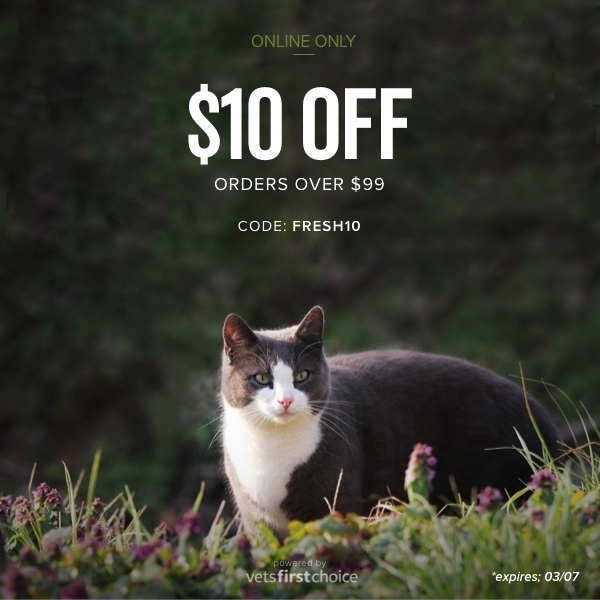 This coupon expires 3/19/19. 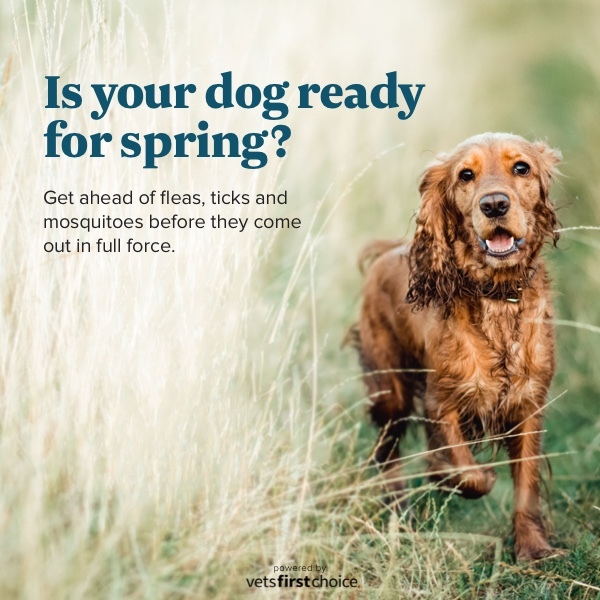 With the start of spring, we’ll be promoting savings of up to $50 on select flea, tick and heartworm preventatives. 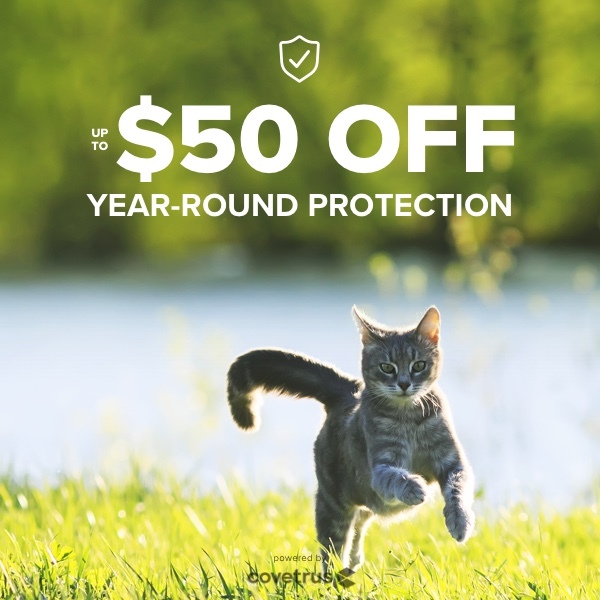 If your practice is opted out of preventatives or these brands for email marketing, your clients will receive a generic, non-category specific savings message. This campaign will be sent to clients whose practice is opted into 4 or more Careminders/month.